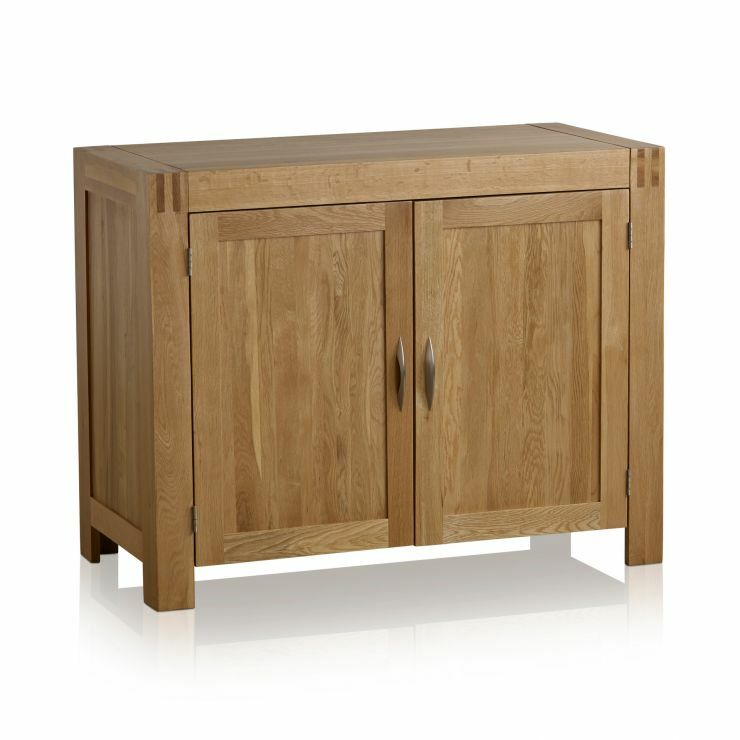 The Alto Natural Solid Oak Small Sideboard is a compact storage solution for the modern home. 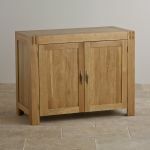 Characterised by eye-catching finger joints it features a generously sized cupboard space, which is perfect for storing all items of dinnerware in the dining room or kitchen. 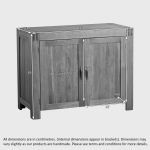 The doors sport curved brushed metal handles and inside you'll find a height adjustable shelf to accommodate taller or awkward shaped items. 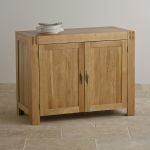 Handcrafted from premium grade solid oak throughout, this compact sideboard demonstrates meticulous attention to detail. 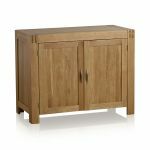 Check out the rest of the Alto Solid Natural Oak range for some perfectly co-ordinating items of lounge, dining room and bedroom furniture. 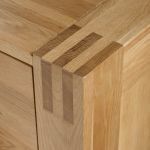 We never skimp on materials and we never use chipboard, MDF or veneers in any of our furniture; simply premium grade hardwood.